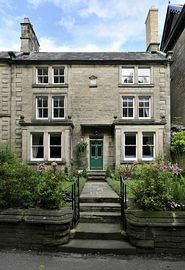 Derwent House, luxury self catering holiday accommodation, with 6 bedrooms in Matlock, Derbyshire. 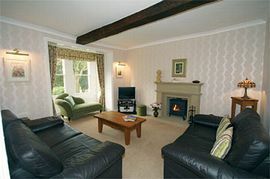 Sleeps 12 guests in comfort, ideal for large groups and family holidays. Derwent House is an elegant grade II listed Georgian Home built in 1753 in the heart of Matlock. 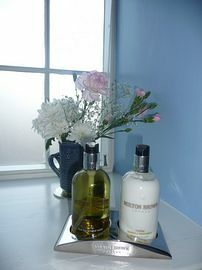 A special place for those of you that demand a little bit more from your self catering holiday. Well equipped luxury property for 12. Historic character of Derwent House. Take junction 28 of the M1 (the Alfreton exit). Turn off for the A615 to Matlock, follow this road. As you descend the hill into Matlock (Signposted) pass a Total Garage on your left, continue forward past a Gallery on your left and take the next left into Knowleston Place. Take junction 29 of the M1 (the Chesterfield exit) and take the A617 again for Chesterfield. At the next roundabout take the A61 to Derby. Continue on the A61 until you get to a set of traffic lights and turn right following signs for Matlock (A632). Stay on this road (7 miles) until you get to Matlock. At the junction of the A615 (main road) turn right (the total garage is on your left) Continue past a Gallery on your left and take the next left into Knowleston Place. Follow the A6 into Matlock town centre, at the roundabout (Crown Square) go straight ahead, passing Boots on your left. Go straight over the mini roundabout with the park on your right. At the end of the park turn right into Knowleston Place. The tariff varies according to the time of year. 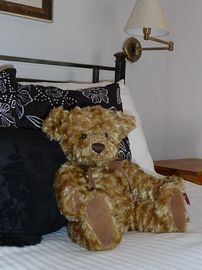 Open throughout the year for short breaks (3 and 4 nights) and longer stays. 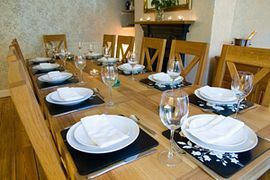 "Enjoyed a great weekend, lovely house, central for visiting everything we needed for a perfect break." Family gathering, Wales, London and Yorkshire. "The best place we have ever stayed in.The house is immaculate and it's obvious that a lot of thought and care has been bestowed on the exterior and interior. A truly welcoming retreat." Family holiday, Northumberland. "Who could ask for anything more - is very apt." 70th Birthday celebration, Cheshire. "A wonderful house, lovely situation, especially the park. Thank you for allowing us to share your gem." Annual family gathering, Chester, Brighton and Edinburgh.